Listen Kate Schatz on "Rad Women Worldwide"
Last year, Kate Schatz climbed the best-seller list with her children's book, "Rad American Women." The collection shined a spotlight on American women who don't always make the history books. Now, Schatz is back with a global view. "Rad Women Worldwide" profiles 40 women — artists, athletes, pirates, punks and revolutionaries — dating from ancient Greece to modern day. Like in "Rad American Women," each profile includes an original paper papercut illustration by Miriam Klein Stahl. "I had not heard of many of these women before writing the book," Schatz told MPR News host Kerri Miller. She wanted a mix of stories people did know — those of Frieda Kahlo or Malala Yousafzai — and the stories that people didn't. There's Wangari Maathai, who empowered women farmers in rural Kenya; Grace O'Malley, a daring Irish sea captain; and Junko Tabei, the first woman to reach the summit of Mount Everest. The book is filled with women who pioneered the written word, programmed the first electronic computer and created the Montessori method of schooling still in use today. Something that unifies many of their stories is the lack of recognition they received during their lifetimes. Even Kahlo, for example, only had one art exhibit in Mexico while she was alive. The title of her obituary in the New York Times, Schatz noted, identified her as Diego Rivera's wife — not an artist in her own right. The women in the book did what they did out of passion, determination or a belief in what's right, Schatz said, not for recognition or fame. 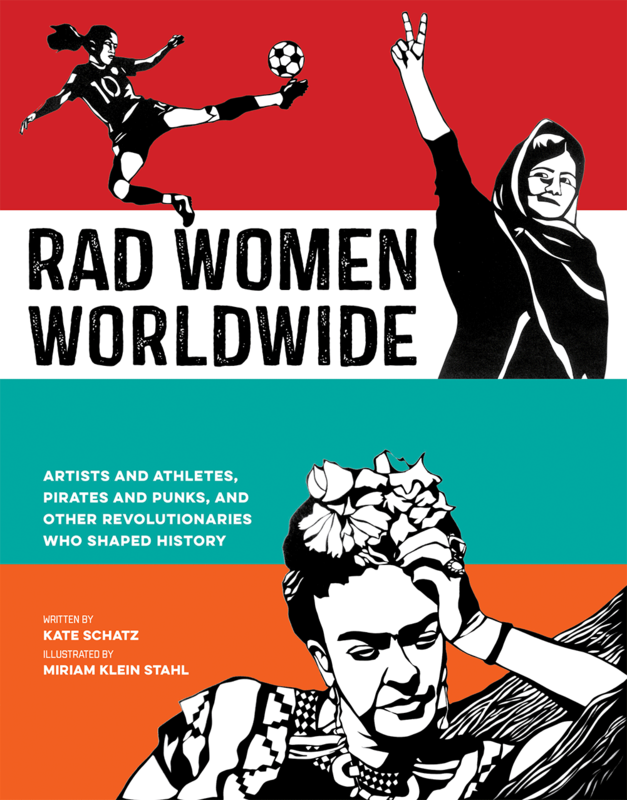 For the full interview with Kate Schatz on "Rad Women Worldwide," use the audio player above.